Christianity and Culture is a leading multi-disciplinary research centre. It uses expertise in history, archaeology, literature, art history, theology, and cutting-edge technology to carry out research, create interactive resources, and work with major heritage sites to engage visitors through innovative interpretation. Find out more about our aims, approaches and activities. Meet our research and technical teams too! The Centre undertakes short- and long-term research projects with funding from major research councils. Explore our cutting-edge interpretation work with a range of heritage sector partner organisations. Discover our affordable interactive resources that explore historical and theological themes. Christianity and Culture works with many organisations, both large and small. 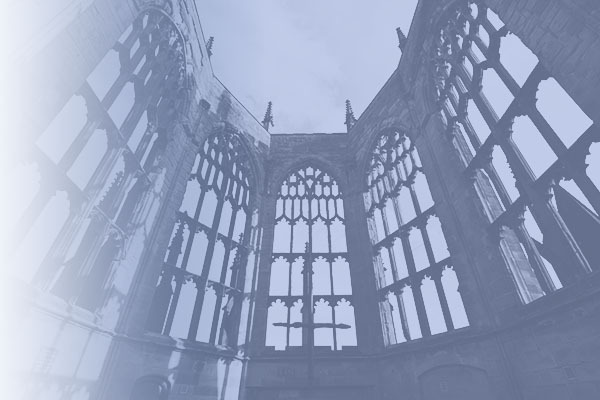 We offer flexible collaboration, from consultation on practice and management of churches, cathedrals and other buildings through to the design and implementation of visitor interpretation programmes. Our expertise extends beyond ecclesiastical buildings into wider heritage and archaeology, and our skills in web design, 3D digital visualisation and interactive media are applicable to a broad range of projects. If you have a project you wish to speak to us about, don't hesitate to contact us. Our Lady Star of the Sea, part of the Roman Catholic diocese of East Anglia, is a late-Victorian church in the heart of the town of Lowestoft.